Flooding can occur anywhere, but water and electricity don’t mix. 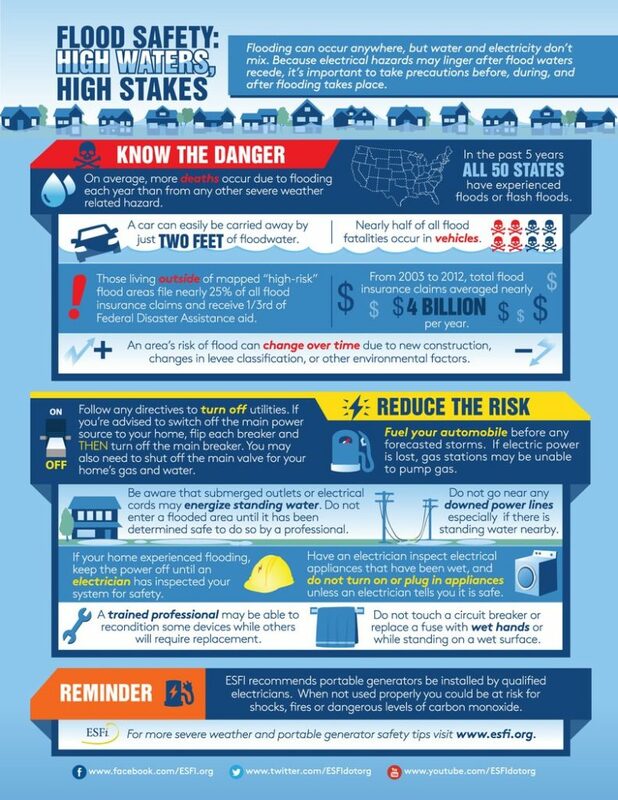 Because electrical hazards may linger after flood waters recede, it’s important to take precautions before, during, and after flooding takes place. On average, more deaths occur due to flooding each year than from any other severe weather related hazard.